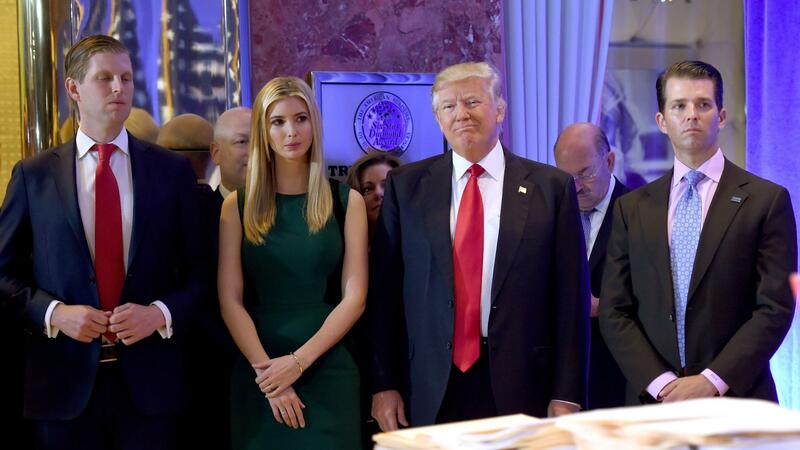 President Trump, pictured with his children Eric, Ivanka and Donald Jr. in January 2017, said Thursday on Twitter that "I won't settle this case!" The suit alleges "unlawful political coordination" with Trump's 2016 presidential campaign, "self-dealing" that benefits Trump's businesses, and other violations of the law. Underwood's suit seeks to dissolve the Trump Foundation and collect nearly $3 million in penalties. Trump quickly replied on Twitter: "The sleazy New York Democrats, and their now disgraced (and run out of town) A.G. Eric Schneiderman, are doing everything they can to sue me on a foundation that took in $18,800,000 and gave out to charity more money than it took in, $19,200,000. I won't settle this case!" The 41-page petition to New York's Supreme Court cites voluminous evidence, including photos and emails, in alleging that Trump used his foundation's charitable assets to pay legal fees, to promote his hotels and other businesses and to buy personal items. It also alleges that at Trump's request, the foundation "illegally provided extensive support to his 2016 presidential campaign by using the Trump Foundation's name and funds it raised from the public to promote his campaign for presidency, including in the days before the Iowa nominating caucuses." The lawsuit states that the foundation's board existed in name only and failed to provide oversight to the organization for at least the past 19 years: "It has not met since 1999 and does not oversee the activities of the Foundation in any way." The petition says the foundation has no written criteria or protocol for the grants it considers or approves and that "Mr. Trump ran the Foundation according to his whim rather than the law." In addition to the penalties and dissolution of the foundation, the lawsuit seeks to ban President Trump from serving as director of a New York not-for-profit for 10 years and also a one-year ban for his children named in the suit. Underwood also sent letters Thursday to the Internal Revenue Service and the Federal Election Commission, "identifying possible violations of federal law for further investigation and legal action by those federal agencies." Underwood became New York's attorney general last month, after Eric Schneiderman resigned the post. Schneiderman had pursued a number of cases against Trump, including one over Trump University, in which Trump agreed to pay a $25 million settlement. The attorney general's investigation of the Trump Foundation began in June 2016, according to the lawsuit. In a statement Thursday, Underwood says that her office's investigation found that "the Trump Foundation was little more than a checkbook for payments from Mr. Trump or his businesses to nonprofits, regardless of their purpose or legality." "This is not how private foundations should function and my office intends to hold the Foundation and its directors accountable for its misuse of charitable assets," Underwood adds.